Sweet Like Chocolate sound familiar? That’s because it was top ten in several countries, a UK number one and the eighth biggest selling UK single of 1999. It didn’t sound like this though did it? No it didn’t, for the Shanks & Bigfoot original was about as mainstream as garage track could get. 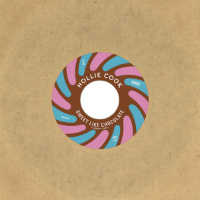 Step forward Hollie Cook nearly a decade later to make the track her own by applying the summery reggae shimmer with which she has become synonymous. That’s more like it. Now it sounds like something off her latest LP Vessel Of Love and is all the sweeter for it. Like chocolate, in fact. Players and vid below.